Smoke is the suspension of small solid particles in the air that results from the incomplete combustion of a combustible. It doesn’t matter where it comes from – cigarettes, tobacco, incense, machines, bonfires, motors, etc. Everything is valid; it just depends on how you manage to capture these images that allow you to open a new world in your imagination. Traces of Smoke invites you to show, through images, the beauty and aesthetic richness that can be created by the trajectory of this physical phenomenon. There will be a pre-selection of the first 100 images by way of the voting system. Then, a qualified panel of judges will select the 20 winning images. For technical reasons the participants of the contest will have to be registered in Blipoint. PRIZE DETAILS: The prize consists of being a Premium User for free one year. 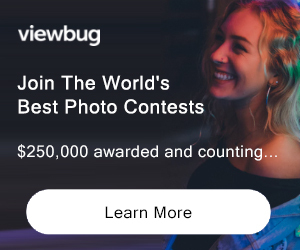 ELIGIBILITY: All / 18+ Not eligible to enter? - Find contest where you are. COPYRIGHT: With the sending of the images, you confirm automatically that you own the author’s copyright and that your images are free of rights to third persons. You will preserve the entire author’s copyright and other rights that you already possess in relation with the images that you publish in Blipoint. USAGE RIGHTS: On having sent, having published or having shown these contents, you will grant to Blipoint a perpetual, irrevocable, world-wide, exempt license of royalties and not sole right to reproduce, to adapt, to modify, to translate, to publish and to distribute the contents that you send, publish or show through Blipoint. This license has, as a merely purpose, to allow Blipoint to show, to distribute and to promote its services.